The typical layperson may not be aware of all of the options that can be exercised when an estate is being planned. 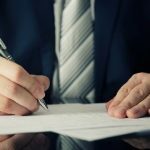 Of course there is a legal document called a last will that most people are aware of, and there are also multiple different types of trusts. 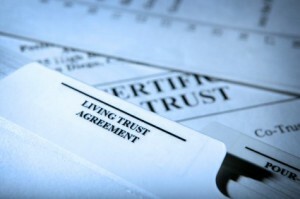 There are various reasons why you may want to utilize a trust of some kind. Let’s look at some of the scenarios that can come into play. We live in a litigious society as they say, and lawsuits can be a source of concern for many people. If you were to convey assets into an irrevocable asset protection trust, they would be shielded from legal actions. You can protect assets for your own purposes, and you can also protect assets that you are leaving to a loved one when you are planning your estate. The federal estate tax is a looming threat for high net worth individuals. You can transfer unlimited assets to your spouse tax-free, but transfers to others could be subject to the death tax and its 40 percent maximum rate. At the time of this writing toward the end of 2015, the estate tax exclusion is $5.43 million. This is the amount that can be transferred before the estate tax would become applicable. 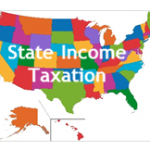 We practice law in the state of Connecticut, and there is a state-level estate tax in our state. The exclusion on the state level is just $2 million, so you could be exposed to the state-level estate tax even if you are going to be exempt from the federal tax. 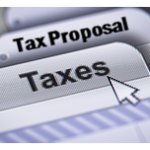 There are trusts that can be used to remove assets from your estate for estate tax purposes. These would include qualified personal residence trusts, grantor retained annuity trusts, generation-skipping trusts, and charitable remainder trusts. The Medicare program does not pay for long-term care, and most elders will need help with their day-to-day activities at some point in time. Medicaid does pay for long-term care, and most seniors in nursing homes are enrolled in this program. Since Medicaid is only available to people with significant financial need, there is a $2000 limit on countable assets. To qualify for Medicaid to pay for long-term care, you could convey resources into an irrevocable Medicaid trust. If you use a will as your vehicle of asset transfer, it would be admitted to probate. This is a time-consuming and potentially expensive legal process. To avoid it, you could establish a revocable living trust. Assets in this type of trust can be distributed by the trustee to the beneficiaries outside of probate after you pass away. Our firm can help if you have questions about trusts or any other estate planning matter. To set up a consultation, send us a message through this page: Hartford CT Estate Planning Attorneys.